View the 2019 Prospectus to learn more. 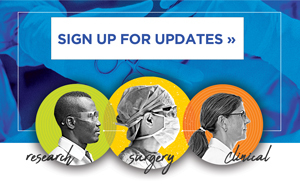 Ready to Sign Up for SSO 2019? Use the buttons on the side to sign up online, or fill out the booth application and contact SSOexhibits@spargoinc.com. Your name, address, phone, email address, credit card number and any other information you provide are held in strict confidence. We do not sell or share your information with anyone else.